Color Study: Creating Accurate Colors • Lime Valley Advertising, Inc.
RGB (Red, Green, Blue) colors are mostly used in all-digital formats, such as video and web. These colors are created by the combinations of the three wavelengths of the light spectrum. Red, green, and blue can be produced at 26 depths each. This makes a vast number of possible depth-of-color combinations. Additionally, these are being produced by a light source, which makes viewing more vibrant and bright. Web also commonly uses HEX, or Hexadecimal colors, a more simplified version of the RGB value used in coding HTML and CSS for websites. CMYK, or Cyan, Magenta, Yellow, and blacK, are the four ink colors used in offset printing. These colors blend as tiny, overlapping dots that produce a very wide range of colors efficiently. CMYK is great for everyday needs, but it cannot always replicate screen to print. Thus, for certain printed marketing materials, a more precise color may be needed. This is where PMS (Pantone Matching System), or spot color, comes into play. PMS is additional pre-mixed ink added to the offset press that is one specific color, so it is spot-on accurate to the colors that were chosen when the brand or materials were first designed. Understanding color theory and all the variables that come into play or the applications of color is something Lime Valley designers and web developers are well versed in. 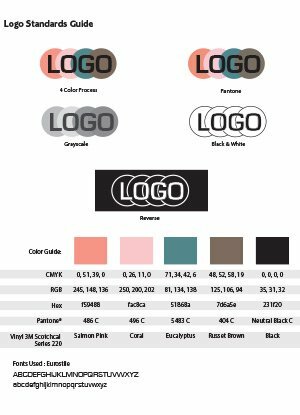 Color standards are established and applied throughout the different mediums to make sure color accuracy is consistent for all clients’ brands.